I know, I know, I know. I said that I was not going to be buying any more books for a while and yet, here we are. My justification is that in part of my new budget I have allowed myself book purchases at the start of every month. And what do you know, it’s the 1st of January! (happy new year, by the way) I am partaking in the 50 book challenge in 2011, so I will need plenty of new books to keep me going throughout the year. The 4 books I’ve ordered today all include some of my favourite themes – apocalypse, alien invasion and zombies. Awesome. Nothing too brain straining, but if I’m going to get through 50 books this year they can’t all be literary classics. Not great, but not too bad a result for December. I managed to finish up a Pantene 3 Minute Miracle, my Glasshouse Fragrances Montego Bay Hand & Body Creme (one of my favourite scents for summer) and a bottle of Dermalogica Special Cleansing Gel. 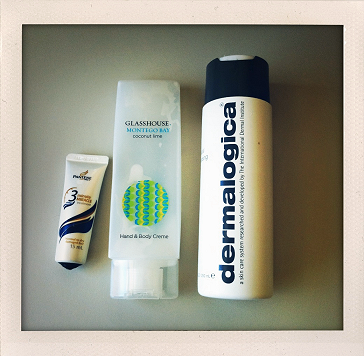 Technically I could have included the Dermalogica cleanser in my Project 10 Pan, but I won’t because I was so close to finishing it already, and it feels silly to include it. 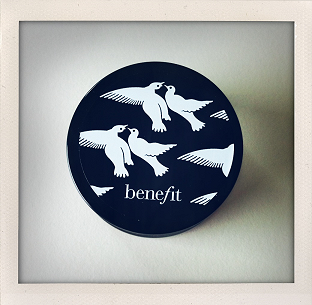 Benefit Creaseless Cream Shadow/Liners have well and truly cemented their place on my favourite products of 2010 list. If there was such a list. Which I guess there is in my head, but I probably won’t be doing an actual post about it. So yes, the Benefit Creaseless Cream Shadow/Liners are pretty amazing. You may remember that I ordered 3 of the shadow/liners on a whim after seeing swatches of a few of them over at Dee’s blog. So far Honey Bunny has been the one that I have worn the most. 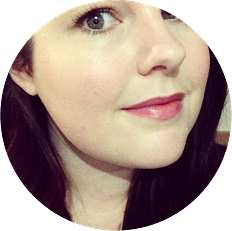 It’s the in-between colour as far as the shades that I purchased go, and I’ve been wearing it practically every day teamed with MAC Naked Lunch and Dazzlelight as a highlight. You can wear the Benefit Creaseless Cream Shadow/Liners on their own as shadows (or liners I guess?) 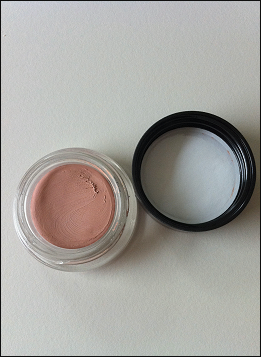 but I’ve found that they make really amazing primers when worn under powder shadow. When I’m feeling lazy I will wear them solo, but more often than not I have been wearing them matched with powder eyeshadows and I’ve been amazed at the staying powder that they provide. Even with my oily, hooded eyelids (how beautiful does that sound?) my eye makeup has been lasting entire work days, even in 40 degree (+!) heat. I was applying them using my Benefit shadow/liner brush, but honestly I find that I get better coverage and it’s easier to apply if I use my fingers. The Benefit Creaseless Cream Shadow/Liners retail for $34 AUD but you can currently snap them up for $17 over at Strawberrynet. As one of my beauty resolutions for 2011 is to partake in Project 10 Pan at the beginning and end of the year (and I’ve also noticed that I have spent way too much money on cosmetics lately), I think it’s a great idea to start my Project 10 Pan asap. My Project 10 Pans are slightly different to most, as I opt to finish up a collective 10 products from various categories, rather than 10 makeup, 10 skin care etc. This works out better for me, and it usually takes 2 or 3 months for me to finish up the products, which is a decent amount of time (in my eyes at least) to not be spending money on cosmetics. I also find that after the 3 months or so I no longer have the urge to spend frivolously on products that I don’t necessarily want or need. But we’ll see how long that feeling lasts… I am aiming to spend less in 2011 on things I don’t need, and this seems like a good way to start to me. So here we go, Project 10 Pan starts now! 01: Participate in Project 10 Pan at the beginning and end of the year. 02: Search for decent foundation alternatives. 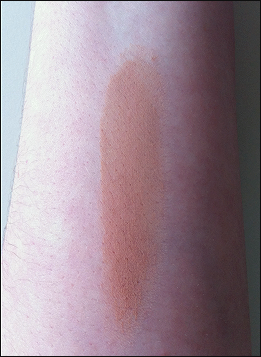 03: Swatch and review my entire makeup collection. 04: Update my makeup storage system. And I think that will do me for now! What about you? What are your beauty-oriented resolutions for the year 2011?